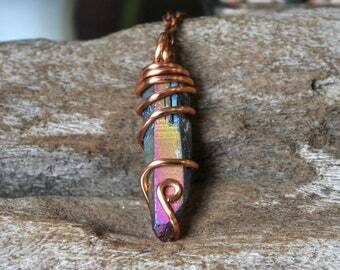 A 3/4" pink resin bear has been set in a bed of crushed pyrite on top of a blue aura quartz crystal point. 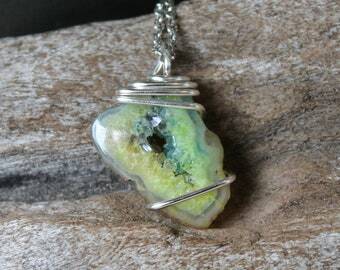 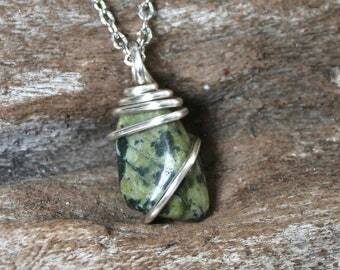 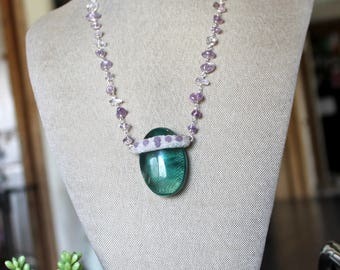 There is a tiny natural grape agate & tiny natural opal set on the front. 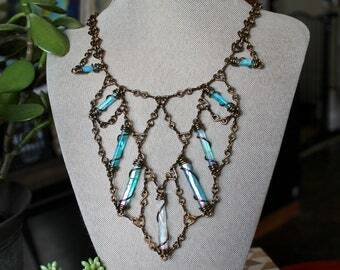 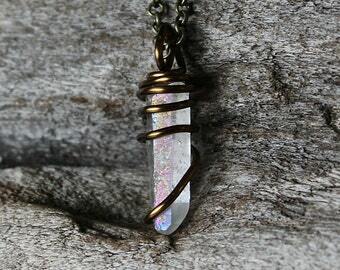 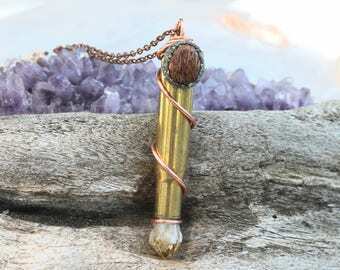 The aura crystal comes on a bronze chain and the total length of the aura quartz necklace is 18 inches. 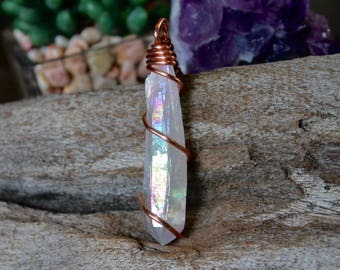 *If you need a custom length please leave us a note at checkout! 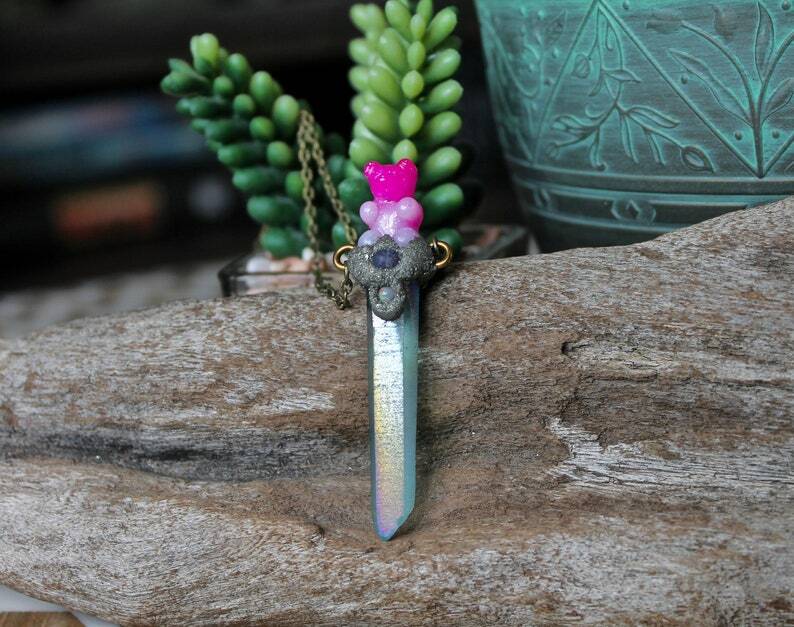 The blue aura crystal measures almost 2" long and the total length from the top of the pink resin bear to the bottom of the aura quartz point is a little over 2.5 inches long. 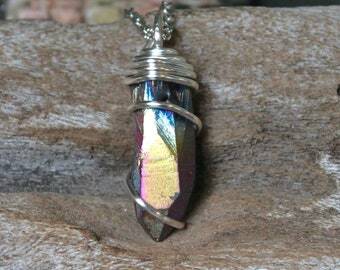 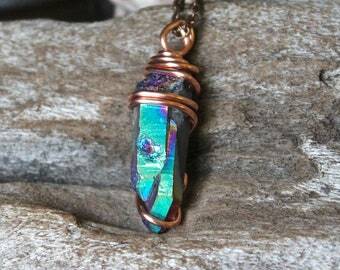 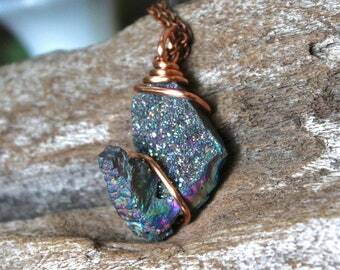 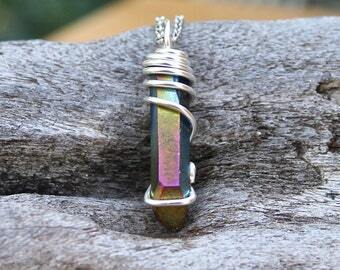 Please take a look at all 7 photos to get a better idea of the true size and beauty of this aura quartz necklace! 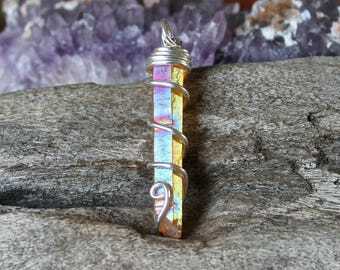 *Titanium aura quartz crystals receive their vibrant colors by treating natural quartz crystals with precious metals at extremely high temperatures! 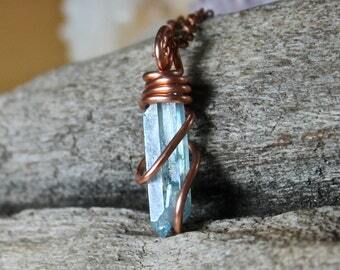 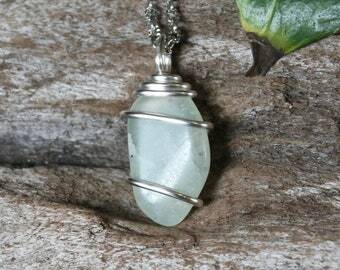 You will receive your blue crystal necklace in a lace gift bag, wrapped and ready for gift giving!